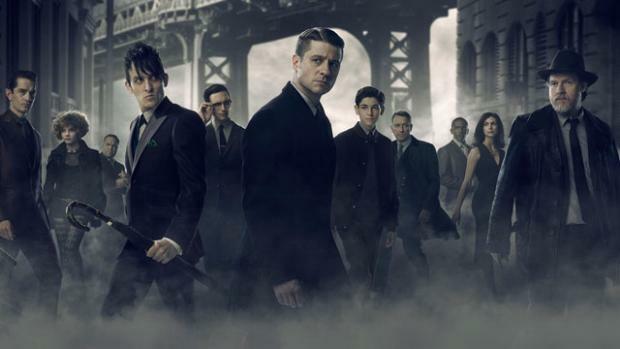 Gotham is returning on September 19th and new details continue to emerge about the season ahead, including a brand new look at Bruce Wayne’s (David Mazouz) doppelganger. The end of season two featured many of Hugo Strange’s villainous creations entering into the city, including an exact replica of Bruce Wayne, but with a very different hairstyle. It has been indicated that season three will focus on Wayne’s transformation into Batman and that his doppelganger will be causing problems. Mazouz discussed playing two different characters with ComicBook.com and how the challenge has been extremely fun. As previously reported, executive producer John Stephens discussed how season three will be a major change from the previous two seasons.